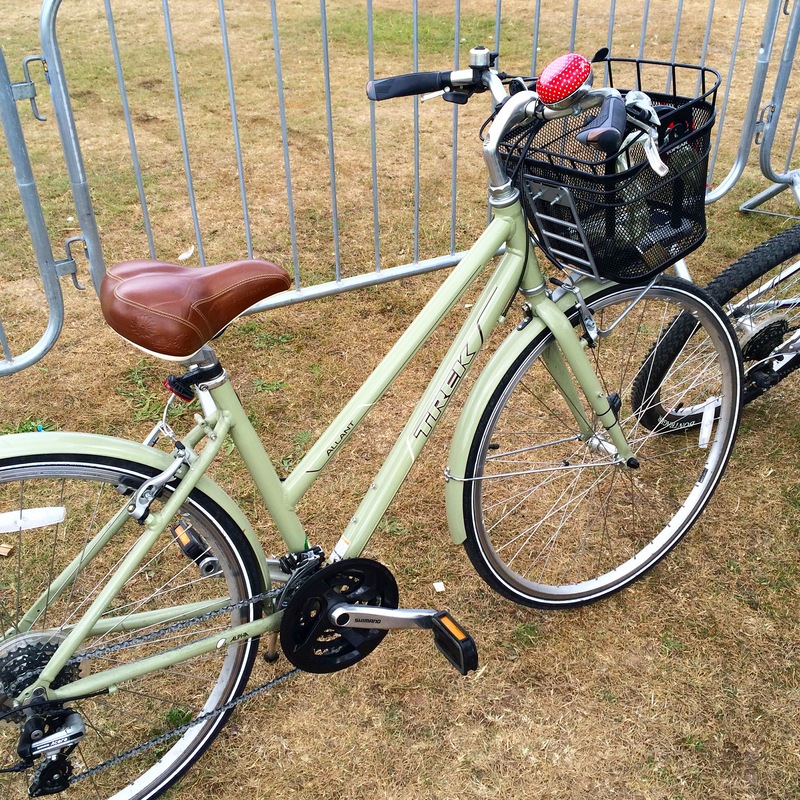 I love my gorgeous Trek Allant bicycle, but I’ve never been really happy with the basket. I purchased it at the same time as the bike, and the black metal basket was the only one they had in stock. It’s served me well for a few years, but I always wanted a wicker one, to fit in with the look of the bike! Cue this gorgeous wicker basket c/o Prestige Wicker! 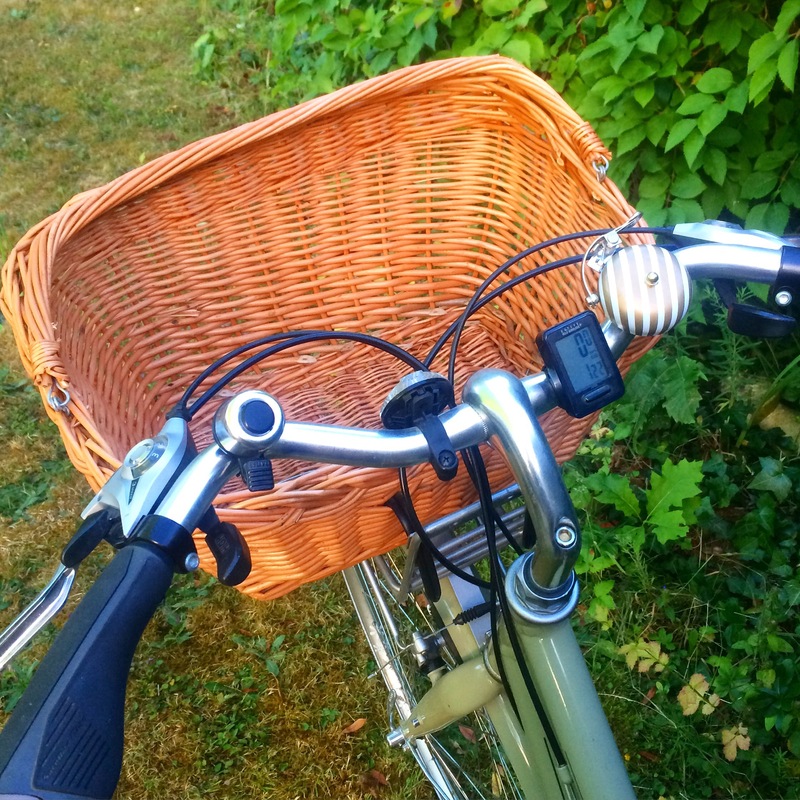 This is exactly the thing I’d had in mind all these years – a large wicker basket with an interesting shape, which fits neatly on my bike’s front bracket. Doesn’t it fit perfectly? This basket also comes with a handle that you can use – you just remove the basket from the bracket (it has two metal prongs on the back that allows it to slot onto the basket bracket) and you can use the handle to carry it around. In my mind I’m picturing toting it around a farmers’ market and filling it with fresh veggies and bread, but in reality it’ll be just as useful going around the local supermarket! The basket also features a raised edge on the front that slopes inwards, keeping your goodies in the basket from sliding out! 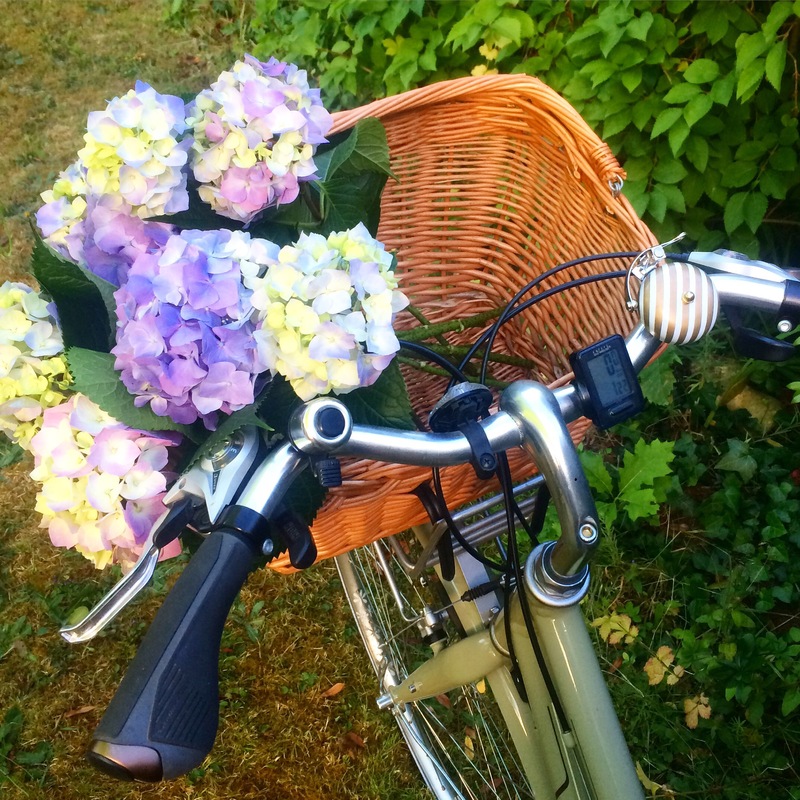 I absolutely love my bike basket and can’t wait to take it on a cycling holiday I have coming up! 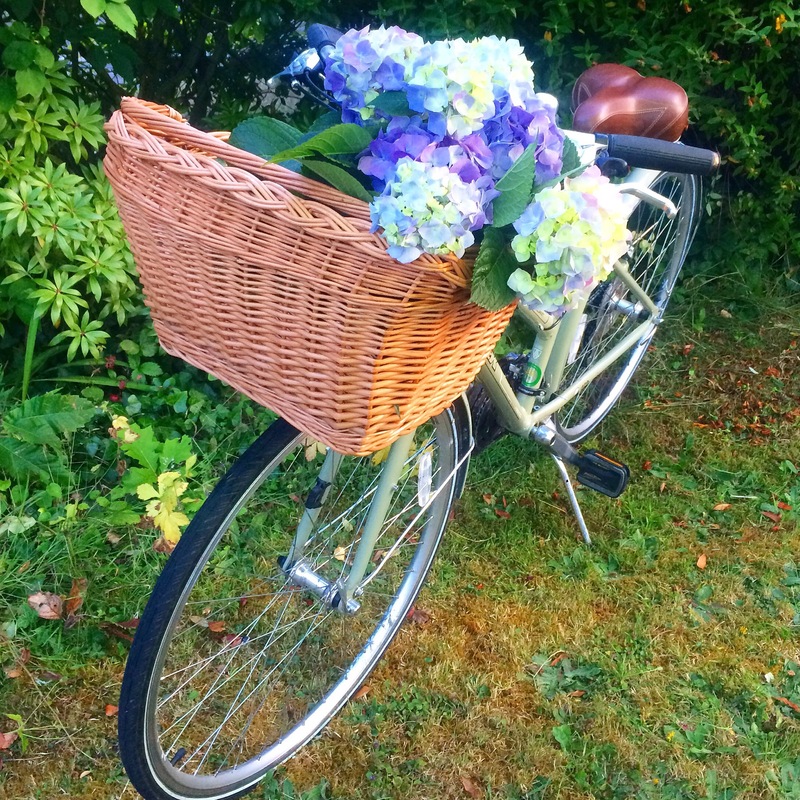 Next step is making a bike basket liner (completely superfluous but utterly adorable…) with the help of my friend Rachel – I’ve been perusing the fabric on sale in my local shop! Which one would you pick?! 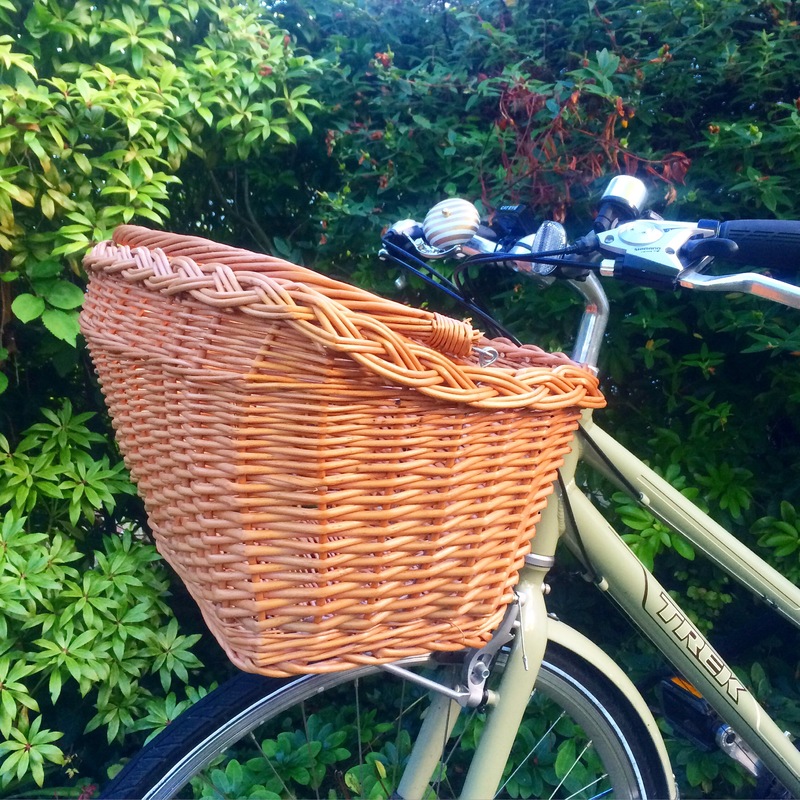 The large wicker bike basket is available now from Prestige Wicker, priced £28. They’re specialists in handcrafted wicker, and have a great range of products, including pet baskets, picnic hampers, and even chests! Check out the site at www.prestigewicker.co.uk – they even have free delivery for the UK! 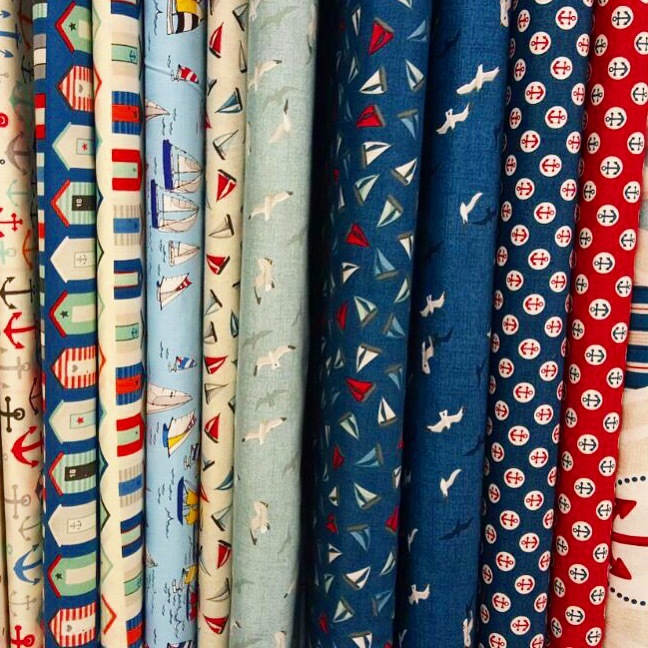 The pale blue fabric with the boats all the way!